Map It! 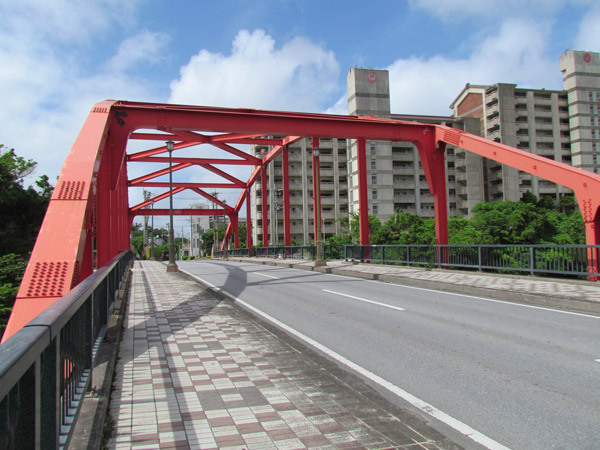 Okinawa: "Yomitan Red Bridge"
This is the Yomitan Red Bridge. You can see this bridge often to the west as you drive south on Highway 58. Best to park somewhere (like the MaxValue about a quarter mile away) and walk to see it. Bring an umbrella too just in case. 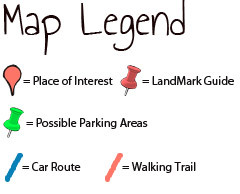 I posted some other areas you can park denoted by the green thumbtack. 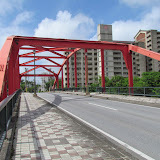 I first saw this bridge when I was driving on Highway '58'. It parallels to the west of it. I finally decided to find this place or get lost doing so. There is a bicycle and walking path on the south side. Doesn't go far. You end up at a harbor at one end and a neighborhood at the other. The path along the river continues on the other side of 58. It's really pretty and quiet over there. Unfortunately, you have to cross the 58 to get there.